Lou Bloom: My motto is if you want to win the lottery you've got to make money to buy a ticket. Courtesy of Miami Records, Inc.
Q: How did Jake Gyllenhaal lose 20 pounds for his role as Lou Bloom? Q: What did the writer/director intend the message of this film to be? 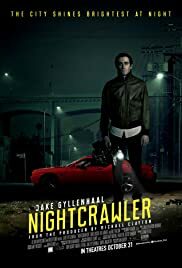 Nightcrawler seems like a satire to modern television news about how they choose their leads or often seek for more ratings by entertaining their viewers rather than aim straightly to the facts. But there is a much interesting story beneath here and that is the main character, Louis Bloom. The guy that easily manipulates people with his sinister tricks of persuasion. Everything else may just be the natural world of crime and accidents, but in the eyes of this character, the experience is made far stranger and oddly fascinating. This provides a compellingly menacing and provoking piece of commentary which results to such engrossing film. What the plot mostly does is to fully absorb the viewers into the character of Bloom by studying his sociopathic behavior and the words coming out from his mouth. He is a charming young man with a dark intention hidden behind his grins. He pushes the limits of the law and his own safety, only to accomplish on what he must do in the job, even if it risks many people's lives. The actions of this antihero is ought to feel terrifying on how it affects to both the business he's working on and the society he is watching. The media's side however is more of a picture of cynicism on how they broadcast the scariest stories of the city, giving the people fear so they could earn more viewers out of the concern. It just breaks down on how the evil of their success is disguised as their own ethics. The filmmaking perfectly captures their night's work. You couldn't clearly see the scenario they shoot unless you watch them on a video footage. The violence and peril they witness are shown without any hint of sympathy, since they only use them for the news show. The horror of these gritty scenes once again belongs to the nightcrawler. Jake Gyllenhaal is one of the biggest highlights here. His character obviously has the personality of a psychotic villain; he is mostly bluffing, and by the dashing enthusiasm he shows to the people around him, you probably may not know when his inner total madness will burst out from his frightening eyeballs, and that provides more tension than you expect. This is one of the Gyllenhaal performances that will be remembered for his career. Out of common sense, this story may lead its main character to a moral about how much he is taking this job too far, probably destroying his humanity. But no, this guy is relentless, almost inhumane, and his style in fact helps his career grow bigger, which turns out we are actually rooting for a villain. And that probably pictures to some oppressive ambitious beings out there behind some system. This is where things go in the end, bringing an outcome to a social satire. You can spot a lot of relevance even when some of the situations get a little out of hand. 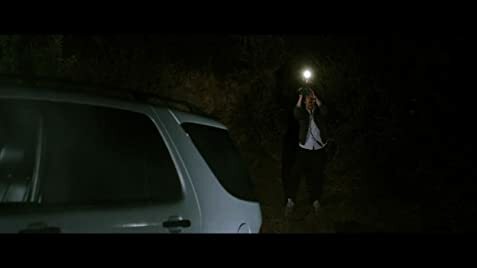 Nightcrawler is something else than a sentiment, what we must focus here is Lou Bloom: a new, possibly iconic, movie vigilante, except the only skin he is purposely saving is himself and his career. 129 of 161 people found this review helpful. Was this review helpful to you?